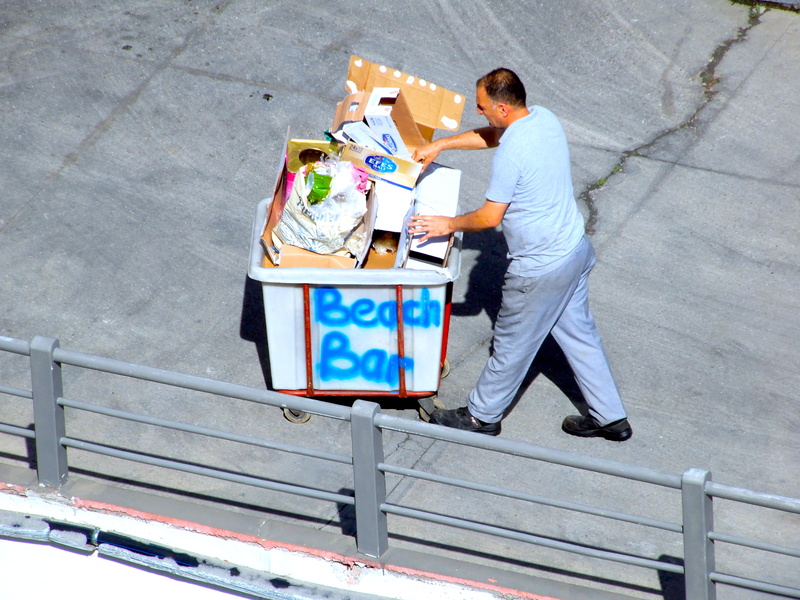 The man in the picture was a staff member in a hotel – I just thought it was a funny picture (clearly he isn’t pushing a mobile ‘beach bar’ lol, just the rubbish from a beach bar) who knows what goals he may have, perhaps he’ll own a string of bars one day, maybe he already does – it’s very hard to accurately judge a book by it’s cover these days, what with secret millionaires sneaking around doing good deeds and seemingly rich posers turning out to be bankrupt or fakers for social media. I digress. We all have something we are striving for, or want to work toward (even if we haven’t taken the first step yet). Once you make your mind up about a goal you want to achieve, don’t let anyone hold you back. Not anyone. Nurture your idea, research and plan. Keep seeking ways to move forward, little by little and make your goal a priority, find time for it every day. Keep the end goal in sight, visualise the mission ‘accomplished’ and feed this cycle, every chance you get. Obstacles are sometimes opportunities in disguise. Opportunities to learn, to make better choice, to enhance an existing plan, step back and re-evaluate, to consider things you may have overlooked. Obstacles offer a learning curve that tend to leave you a little wiser once you’ve worked through them. I read a really interesting post on ‘Overcoming Obstacles’ today which really drove home my belief that an obstacle is only ‘so called’ depending on how you perceive it and how you react to it. The mind has a lot to answer for in terms of the stress and anxiety we can load onto ourselves. Fear is quite often at the root of staying put, not trying something different or taking a calculated risk. Sometimes you have to have faith, take a chance and not let fear hold you prisoner. Let your haters be your motivators – they are a constant reminder that you’re doing something right, something worthwhile and worthy of their time and attention despite their resentment while you strive. Keep your eye on the prize (or prizes). Don’t be distracted by unsupportive influences and people. Gravitate towards positive influences and people. Stay patient but persistent, keep on pushing on. When you need a holiday but you can’t have one! Articles like yours do promote the desire to continue moving forward in people like me. Sometimes we don’t have to achieve great things first, but we can do great things by starting with the small ones.